Fall is upon us, my friends! It is my favorite season of them all. Why? 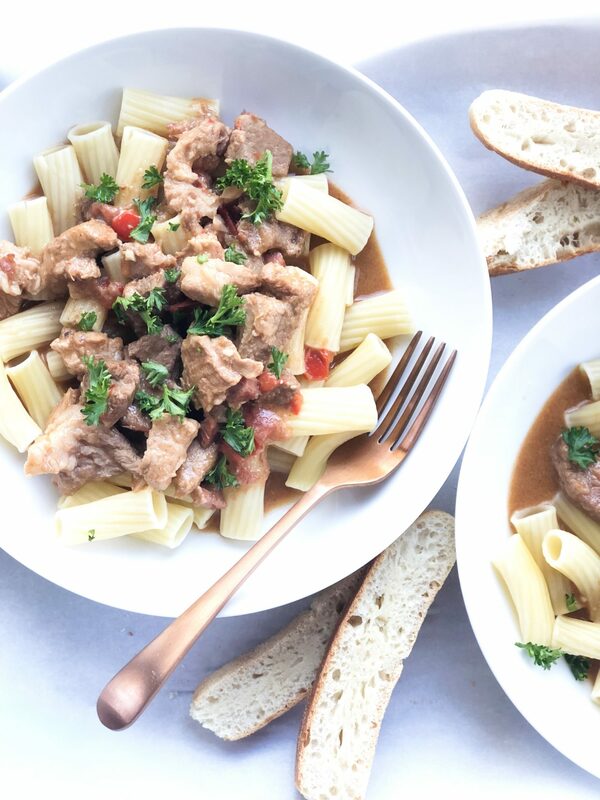 Because I love the cooler temperatures, open windows, long sessions of stove top cooking, baking, and all the spices and aromas that come with the season. Give me all the cinnamon, apples, pumpkins and these seasonal Cranberry Apple Muffins. I’m a sucker for it all. This easy muffin recipe is perfect to awaken your fall senses. The apples, cinnamon and cranberries make a great satisfying mix and are great for on the go eating. These are ideal for a quick breakfast especially when warmed up a tad with a touch of butter. Yum! Because butter makes everything better, am I right? 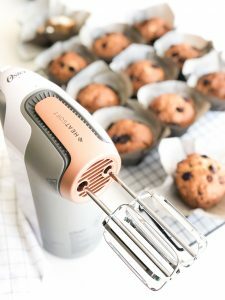 I used my new Oster HEATSOFT Hand Mixer for this recipe. Have you ever wanted to bake something and the recipe calls for room temperature or melted butter?? I get ideas constantly, because I can’t stop thinking about food, and I want to execute them right away, only to get this major cold butter road block. Well, this mixer plows straight through that cold butter road block, and softens the butter for you within minutes. It’s perfect and I love using it for quick baking recipes. Don’t get me wrong, I’m obsessed with my stand mixer. But, it doesn’t help me when I have ice cold butter. These Cranberry Apple Muffins take less than 30 minutes to pull off and you will reap the benefits for many days. In my opinion, it is worth the little investment of your time. Oh, they are also kid friendly so that’s an added bonus and perfect for back to school. Are you ready to bake this fall? I sure am. Here’s another seasonal apple recipe for you, which is also flour-less – Apple Turmeric Ginger Oatmeal Muffins. Happy fall to all of you! Get out there and enjoy the fresh air with muffins in hand. As always, thanks for reading. Delicious seasonal muffins with cranberries, apples, cinnamon and brown sugar. Measure out the dry ingredients in a small bowl, mix and set aside (Flour, baking soda, baking powder, pinch of salt and cinnamon). Cube the cold butter and place it in a deep mixing bowl. 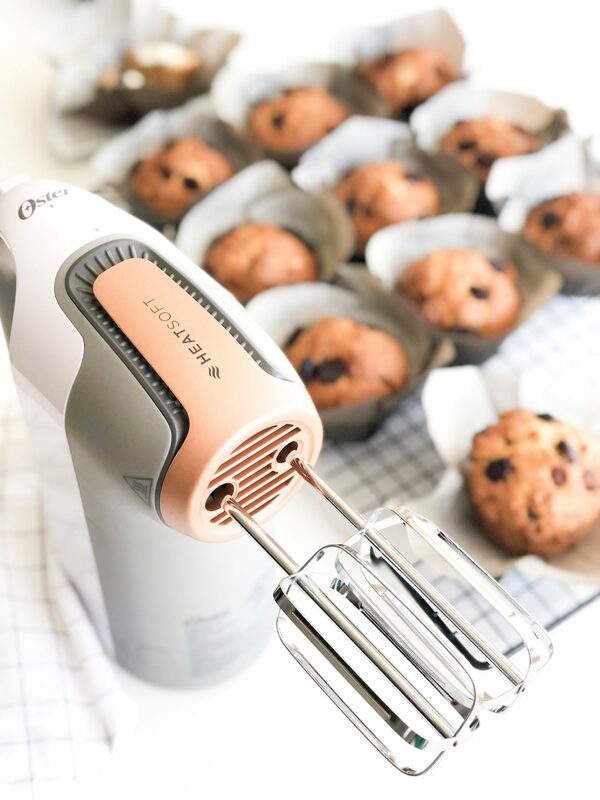 Using your Oster HeatSoft Hand Mixer, melt the butter and mix until nice and fluffy. Alternatively, use room temperature butter. Add the sugar and brown sugar and mix until incorporated with the butter. Add the eggs and mix for 3-4 minutes. The mixture should look creamy. Next, add the vanilla and mix it in well. Slowly add in the dry ingredients 1/2 cup at a time. Incorporate well before adding the next batch. Mix for about a minute on medium after all the dry ingredients have been added. Use a spatula to fold in the apples and cranberries. Place about 2 tablespoons of batter into each muffin cup. Bake for 18-22 minutes, or until golden brown. 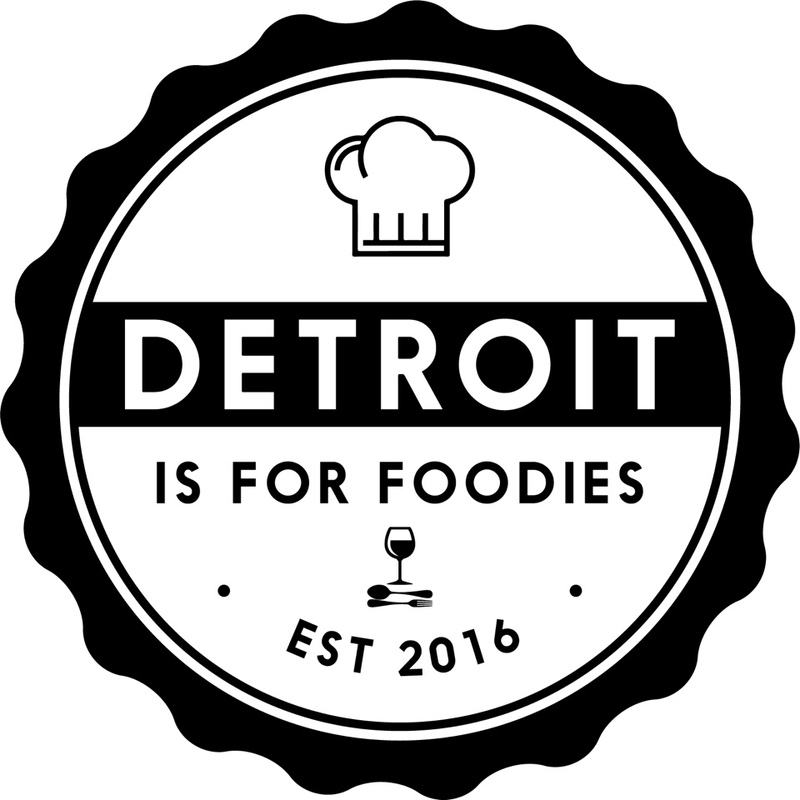 Detroit foodie here too!~ I am from St Clair Shores. I would love to try this recipe. Looks delish! This looks awesome! 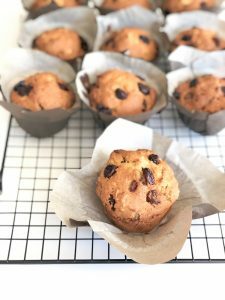 I love muffins, so thanks for sharing the recipe!